Welcome back to the start of another work week after a long, fun-filled weekend! Boy, did it feel good to have an extra day added on to our weekend. Philip and I both agreed that we could get used to having a three-day weekend all the time…if only that was possible. I couldn’t have asked for a better Memorial Day weekend. 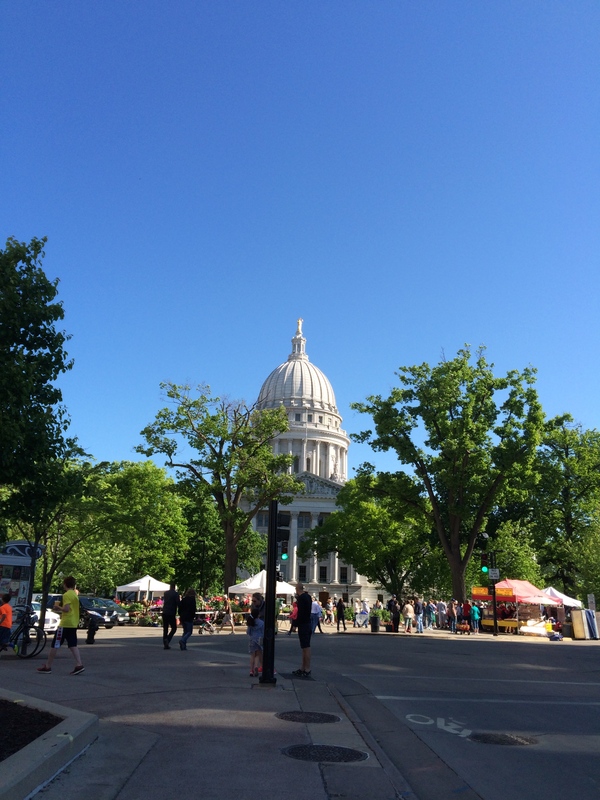 The weather was gorgeous on Saturday morning, so Philip and I started off the weekend by heading to the Madison farmers’ market, which surrounds the Capitol square. We picked up some plants and herbs for our garden and had an enjoyable time strolling amongst all the people. So many people! 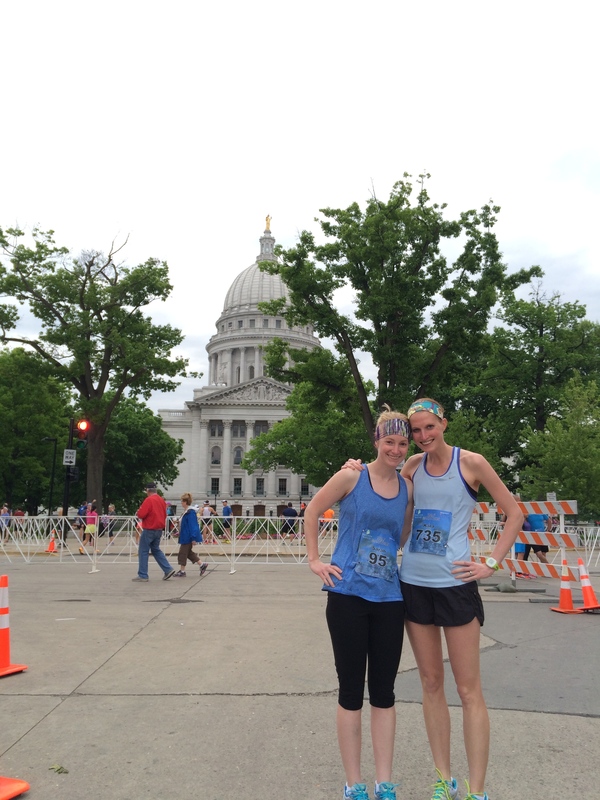 We chatted into the night and woke up bright and early to run the Madison Half Marathon on Sunday. 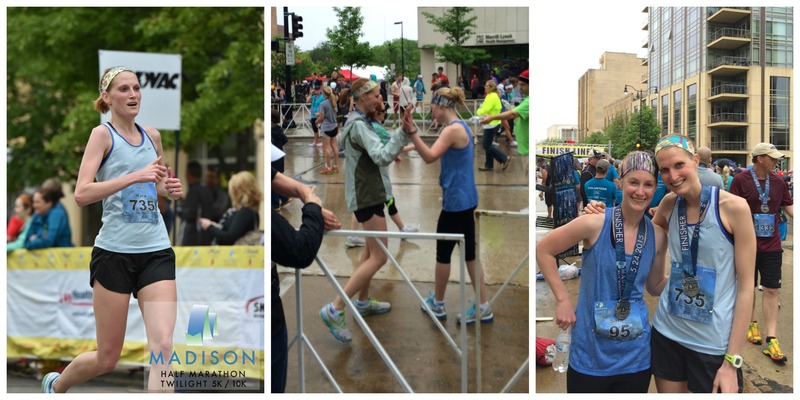 Somehow I convinced her that she should do her first half marathon in Madison and had so much fun sharing the experience with her. 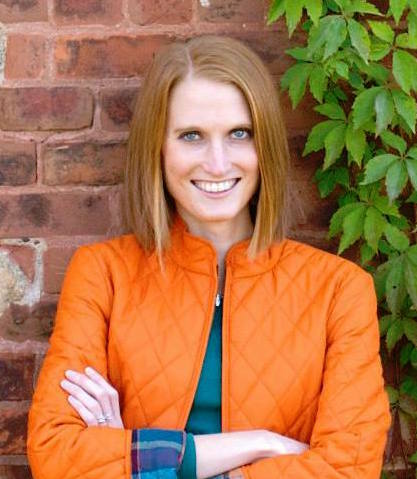 There’s nothing quite like completing your first half or full marathon. Thankfully we both outran the rain and were finished by the time the downpour started. 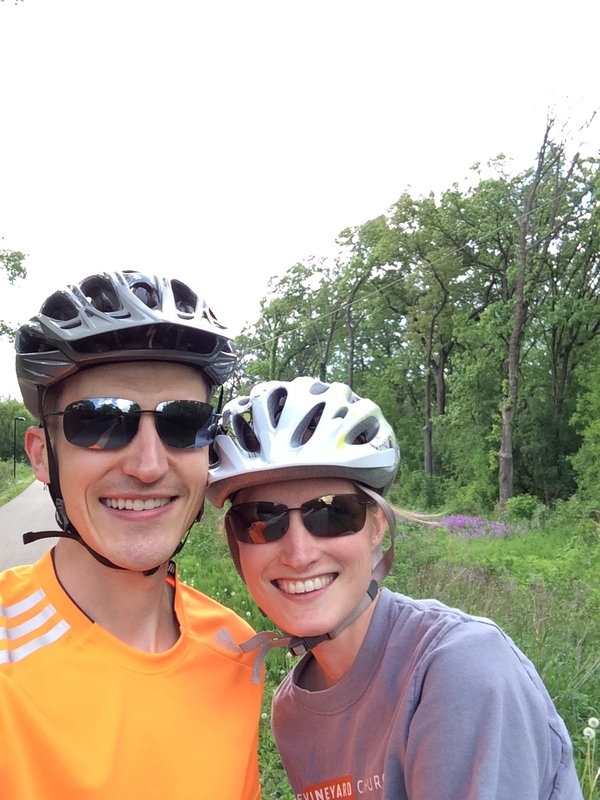 Monday started out looking gloomy, too, but by the afternoon, it cleared up enough for Philip and me to take our first bike ride of the season together. I’ve fallen in love with Madison during the spring through fall (it hasn’t won me over for it’s winters yet). The wild flowers were blooming and wild life were everywhere along the bike trails. 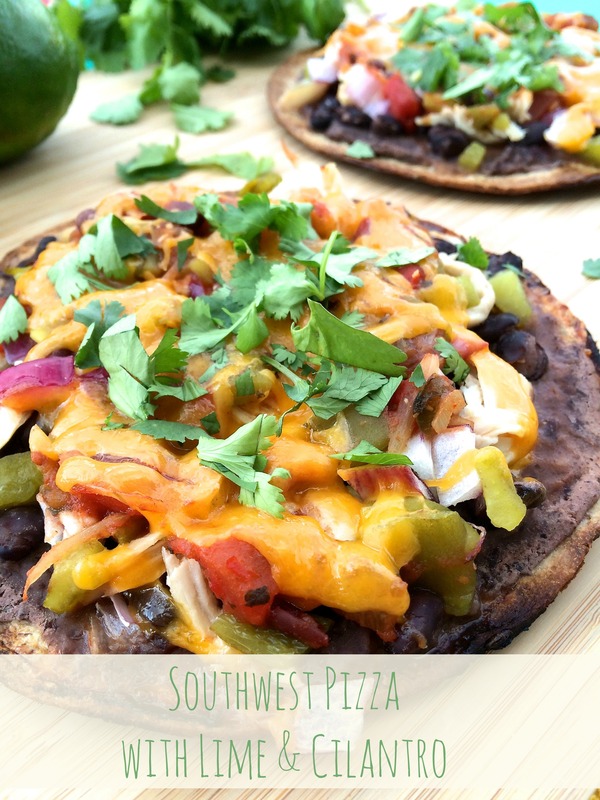 To finish out a great weekend, we fired up the grill and had the perfect summer meal — Southwest Pizza. Seriously, yum. I barely have words to describe how tasty this was. So many flavors coming together to create a flavor explosion in your mouth. Philip was pretty much speechless and couldn’t get enough of it — which is always my gage to see if recipes make it to the blog. Based on his reaction, I knew this recipe was one I needed to share with you ASAP, so you could enjoy it as long as possible through the upcoming summer months (and beyond). We didn’t even have to start up the stove or oven for this meal (besides the corn on the cob we had to go along with the pizza — the perfect compliment to the pizza. Summer food is here!). To keep most of the cooking outside, Philip grilled the chicken and when it was cool enough to handle, I shredded it up to top the pizza. This pizza came together in no time once all the toppings were ready and the pre-made whole wheat individual-sized crusts made everything so easy. 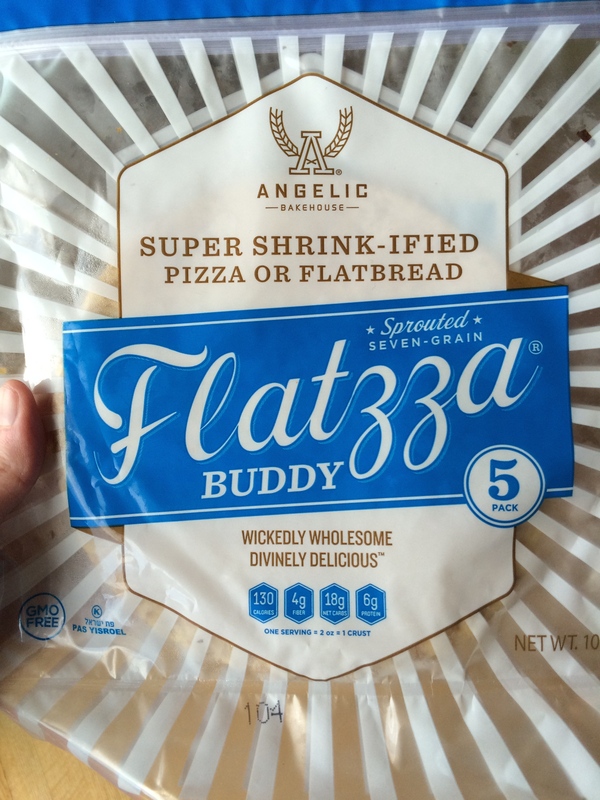 You could definitely make your own crust or use any kind of pre-made crust, but the Angelic Bakehouse Flattza Buddies hold up great on the grill, are the perfect size, and I absolutely love the local, sprouted-grain company. If you’re from the area, definitely give their bread, wraps, and pizza crusts a try! This isn’t a sponsored post, I just truly love all their products — minimal ingredients, no preservatives, and 100% whole grain goodness. Anyway, back to this pizza! 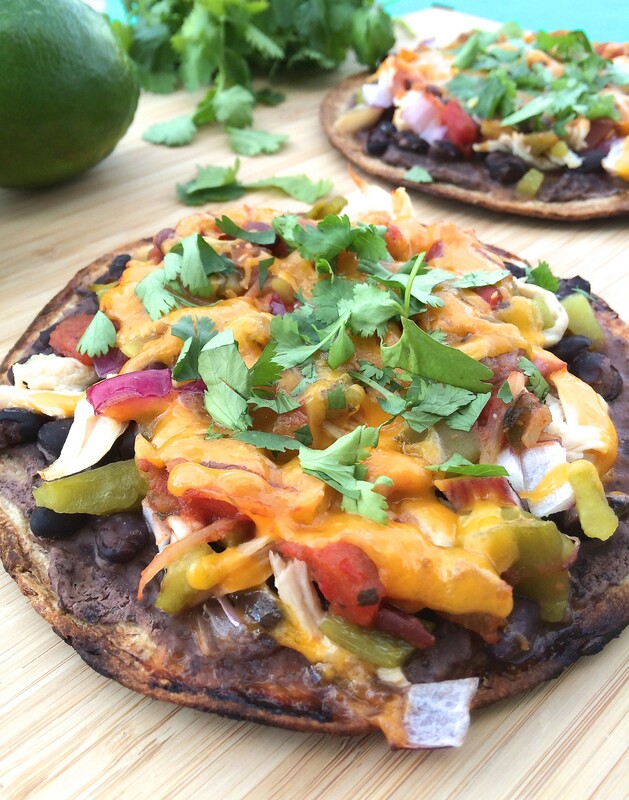 Once the ingredients are topped, pop them on the grill for 10 to 15 minutes and you have a delicious summertime meal. 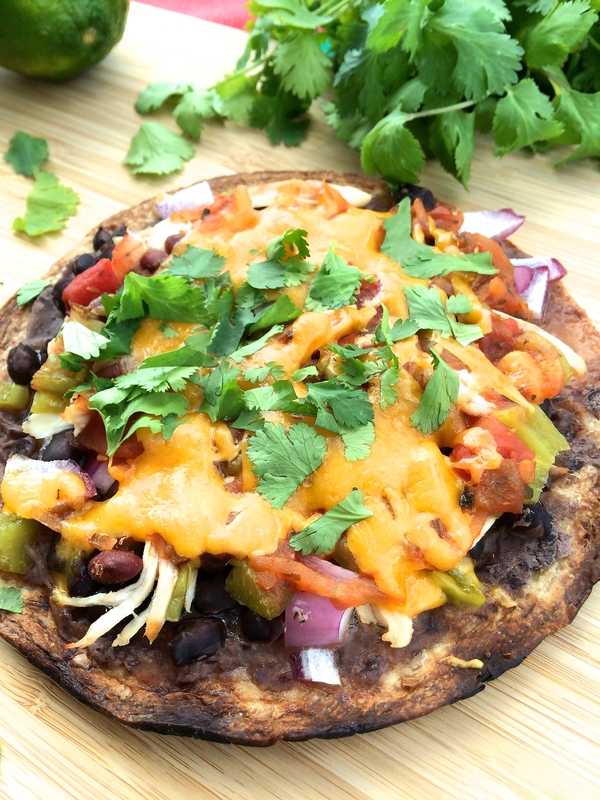 Add some fresh cilantro and a squeeze of lime juice on top and it takes this pizza up to a whole new level. Philip and I have declared — while wiping our faces and hands after devouring our pizzas — that this pizza will be making many more appearances throughout the summer. 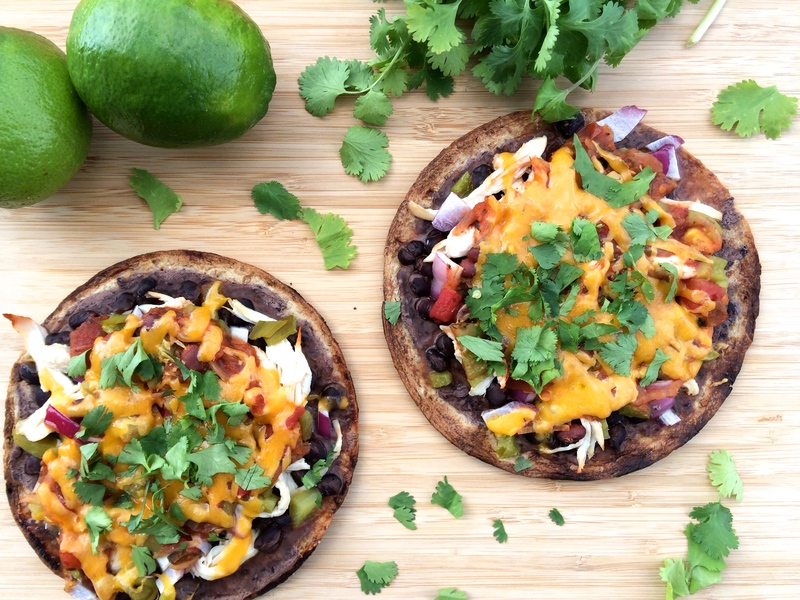 Give this new twist on pizza a try and you won’t be disappointed. Heeeello, summer! Preheat grill or oven to 400°. Drain black beans, reserving about 4 tablespoons of the liquid. In food processor, process 1/2 cup of beans with just enough liquid to make thick puree; spread puree thinly over the pizza crusts. Sprinkle remaining beans over puree. 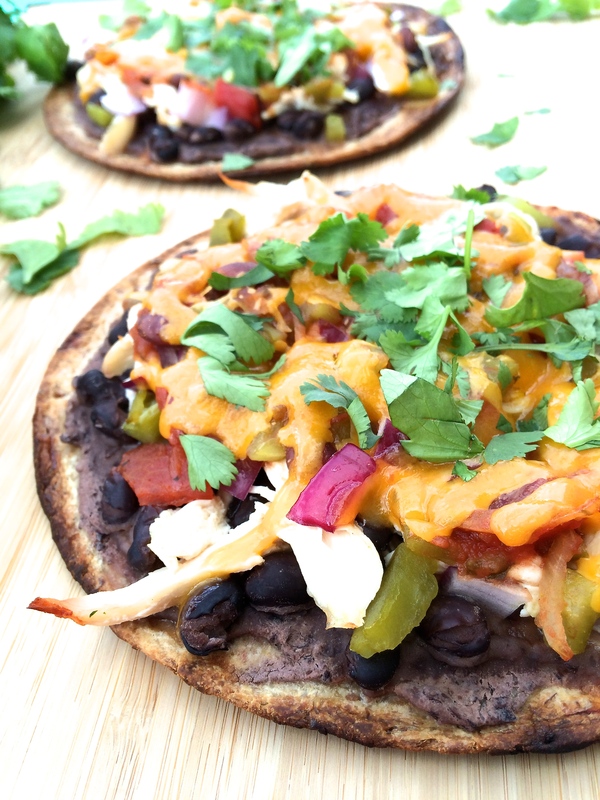 Evenly distribute chicken, salsa, chilies, and red onion on top. Sprinkle with cheese. Grill for about 12 minutes, or until cheese is melted and bubbly and crust is crispy. Remove from grill and sprinkle with cilantro and lime juice.